A 1950’s Hotpoint Refrigerator I purchased a few years back, worked perfect and had the original paint job. Almost 60 years old. Now refrigerators last 8–10 years, if you are fortunate. How in the world have our appliances regressed so much in the past few decades? 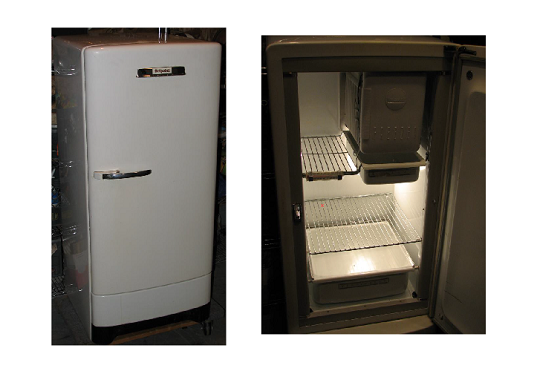 I’ve bought and sold refrigerators and freezers from the 1950’s that still work perfectly fine. I’ve come across washers and dryers from the 1960’s and 1970’s that were still working like the day they were made. Now, many appliances break and need servicing within 2–3 years and, overall, new appliances last 1/3 to 1/4 as long as appliances built decades ago. They break more frequently, and sooner, than ever before. They rust and deteriorate much quicker than in the past. Why is this happening, and what’s really going on? I’ve been wrestling over these questions for years while selling thousands of appliances, and more recently, working with used appliance sellers and repair techs all across the country. The following is what I’ve discovered. 1. Not enough competition. There are basically only four major appliance manufacturers in the world, down from a dozen or more. With competition between companies, the net result was appliances that would last for decades before needing service or replacement. Then over time, Whirlpool and Electrolux slowly bought them all. Here is the latest breakdown of who owns what. Whirlpool (United States) now owns and makes Admiral, Crosley, Jenn Air, Magic Chef, Maytag, Amana, Viking, Estate, Inglis, Ikea, many Kenmore machines, KitchenAid, Kirkland, Roper and Sub Zero among many others that are lesser known. Whirlpool is the world’s leading manufacturer of appliances. Electrolux (Sweden) owns GE, Electrolux, Frigidaire, Gallery, Gibson, Adora, Americana, Eterna, Hotpoint, Profile, RCA, Tappan and White Westinghouse among many others that are lesser known. Electrolux is the second largest manufacturer of appliances in the world. Recently LG and Samsung have gotten into the appliance industry — they are the other two major appliance manufacturers. They sell under their own name and both manufacture and sell smaller home appliances like air conditioners and microwaves for other companies. Less competition is bad for consumers in almost every respect. It’s easier for them to keep appliance prices high, parts prices high and standards equally poor. Since they own all the brands, they can have several cranking out very poor quality machines and have it not affect their overall brand. If any of those sub brands ever starts to do poorly, they can make the brand disappear and start pushing another one of their brands. A vertical modular washer. Note that they have led lights under the timer. 2. More parts are being designed to fail. The quality, or longevity of parts has been in steady decline over the past 10–15 years. Let me start with an example: for top loading washers and dryers two of the most expensive parts on the machines are the timer and motor. For decades there were rarely issues with these two parts, but over the past 10 years there has been a plague of washer and dryer timers and motors that fail and have to be replaced. This has been a huge step backward for the appliance industry. On the off chance a person pays someone to come out and diagnose the issue, they find out the part will be over $100 and the repair total often comes to a few hundred at the minimum. When people find this out, they usually replace the machine. The quicker a part breaks, the quicker the consumer buys a new appliance. Motors last about 1/3 to 1/4 as long as they used to. Lid switches are glued together and eventually split and break. (solution is wrapping a zip tie around the lid switch to reinforce it, but though the problem has been known for probably 20 years, nothing has been done). Refrigerator door seals are glued on now instead of screwed on, and because of this they eventually start to pull away from the fridge, warp and ultimately fail, which, you guessed it, leads to replacement. These are issues that were figured out decades ago and there is absolutely no excuse for them to be happening today unless these companies are purposely regressing. There is no other way to explain it. It’s not just the parts, but the entire design of the machines. For example, one of, if not the best selling washing machines of all time was the direct drive Whirlpool washing machine. They made those splendid washers for a little over 30 years. Then a few years ago they replaced the direct drive with the “Vertical Modular Washer”. 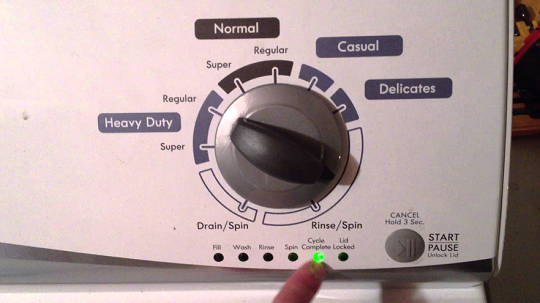 These new washers can be recognized by the led lights under the timer as you see in this picture, and can often be seen in large quantities at your local scrap metal yard. They are one of the worst designed washing machines ever produced and you will encounter serious problems within 1–3 years of purchasing one. They replaced the most reliable washer with the least reliable washer. Another example is the Frigidaire dishwashers. They can often be found for $300 at big box retailers, but they usually break within 2–3 years. I’ve talked with appliance repair techs that have been called to hundreds of homes that have these broken dishwashers in them and joked to me that they called them disposable dishwashers. Dishwashers have been found in almost every home since the 1970’s, how could we be creating them over 40 years later to only last a couple years before breaking? It’s either incompetence or more likely, planned obsolescence. 3. There is too much confusion over who is making quality appliances. Who makes the best top loading washing machine? That used to be Maytag, then for some reason the quality of their washers went in the tank and Whirlpool top loading washers became the best. (Whirlpool made Kenmore’s washers for over 20 years). Then all of a sudden Whirlpool stopped making those incredible direct drive washers a few years ago. Now LG makes the best top load washing machines. Here’s the confusing part: those great Whirlpool washers made under the above brands all have a good name in consumers minds, but now they are all getting a bad reputation because the new washers being produced are very poor quality. So what was the best is now the worst, and millions of people do not know that. When I observe how these large appliance manufacturers act I think of the mattress industry. What is a good mattress to buy? How much should it cost? Where you should purchase it? All answers you probably do not know, nor do most people, because the mattress industry has more makes and models of beds than you can shake a stick at. It seems like each year they come out with 12 models of beds and to top it off they give the same mattresses different names for different stores! That is absolutely great for manufacturers because it makes it impossible for consumers to hold them accountable and for an accurate review system to be in place. The appliance industry is not too much better. Whirlpool makes the same washers and markets them under different names as do other manufactures of different kinds of appliances. It’s almost like these manufacturers don’t want consumers to focus on one brand over another but rather on creating appliances that need to be replaced as quickly as possible to drive more sales. One of the most glaring differences between modern appliances and those produced 40 years ago was the quality of paint job. Newer appliances start rusting within even a year or two whereas I’ve seen washers and dryers and other appliances from 40 years ago that are still rust free. How could this be? There are a number major reasons I’ve identified. Rusty lid in a newer Whirlpool washing machine. A. Painting techniques have changed. 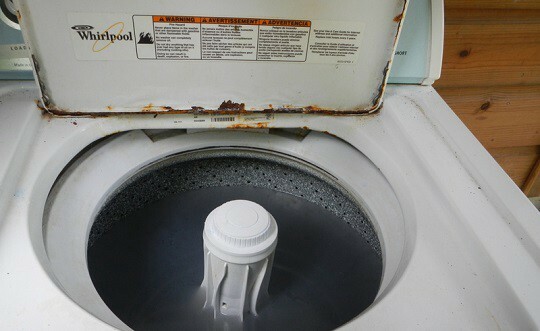 For a long time washing machine lids used to be dipped in paint, so that every surface, nook and cranny could receive an adequate amount of paint to prevent rust. This was very effective and kept rust out, often times for decades. Now washer lids mostly are sprayed. The problem with this is that you physically cannot spray parts of the lid because of angles, so they do not receive any paint. Can you guess where the first part to rust is on a top loading washing machine? The lid! I’ve seen new washer lids begin to rust within a year. Over time the rust builds up and becomes an eyesore and eventually starts dropping rust flakes in the washer. B. Quality and thickness of paint has changed. Appliances used to receive multiple coats of paint so that the paint job would hold up for a long time. Scratches are inevitable, but when there are multiple layers of paint, they are less likely to rust. Many new appliances have the thinnest of paint jobs and appear to have the bare minimum that the manufacturers can get away with. The end result is that appliances have rust issues all over the place. C. Thickness of metal has changed. Appliances manufacturers used to use much thicker gauges of metal. These naturally gave the paint jobs better structural support to prevent paint chipping and also resisted rusting through for much longer. Now the metal is so thin that once exposed to water, the metal walls of modern appliances often rust all the way through which was unheard of in older appliances. You can also tell by the weight differences in older vs newer appliances. Older appliances would often weigh 20–40 lbs more per machine just because of the extra thickness in metal. Thin metal rusts and deteriorates much quicker, as well as dent much easier. Appliances like this over 30 year old freezer used to be smooth and have thicker metal. D. The surface of metal has changed. Almost all appliances used to incorporate totally flat, smooth surfaces. This made them easier to paint, easier to clean the surface and at the same time would not hold extra dirt and moisture. Newer appliances often have textured or tiny eggshell surfaces, sometimes all over, sometimes just the sides. This is the worst possible surface as it hold dirt and moisture and leads to accelerated rusting. I live in Hawaii, and it would blow your mind how quickly refrigerators rust out here on these textured appliance surfaces. When appliances rust, it’s only a matter of time before people replace them. A rusty appliance is bad for consumers and the environment, so you would think manufacturers would be still creating appliances that have paint jobs that last for decades. But appliance manufacturers make money only when people buy new appliances, and by making appliances that rust more quickly, they sell more appliances. What can you do about the rust problem? Buy smooth faced appliances if possible. Clean your appliances to keep them free of dust that can trap moisture on the surfaces that then rusts out the machine. Be careful to not scratch your appliances, especially the tops of washers and dryers by setting laundry baskets on them. Once you scratch them, the rusting process begins. Use a product like Rustoleum’s NeverWet to put a clear coat, rust preventative surface over your appliances paint before rust appears, especially if you live in a humid environment. Once rust appears, you can sand it down to bare metal with sand paper and repaint with an appliance epoxy, I recommend Krylon over Rustoleum because Krylon dries in 10 minutes, and Rustoleum takes at least 4–5 hours to dry. You can buy Krylon appliance epoxy at Sherwin Williams paint stores. 5. We need to start creating long lasting appliances. There is a funny thing going on right now in the appliance industry. Energy efficiency is being trumpeted by everyone with new stickers and labels and claims. But what about how long the appliance lasts before it ends up in a landfill? 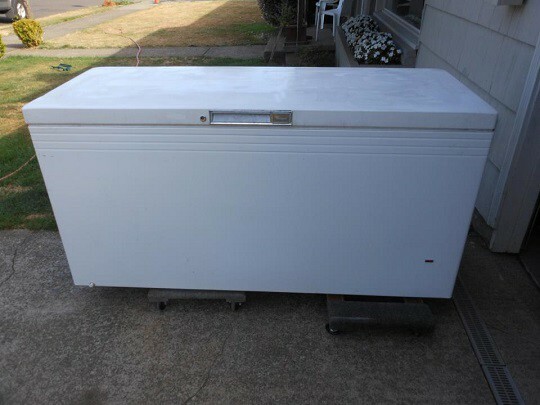 If an old refrigerator or freezer would last 40–50 years before being replaced, and the new ones are barely lasting 10–15 years, that means we are making 3–4 times the number of appliances we used to. 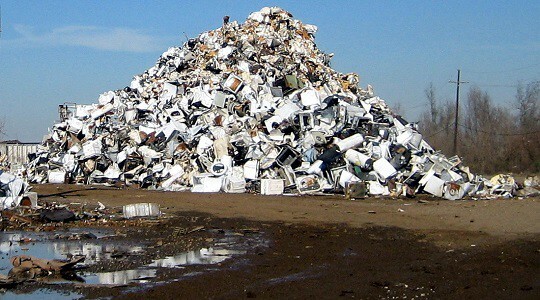 Being very conservative, we are plowing through 2–3 times as many household appliances as we used to. How can that possibly be better for the environment? There needs to be change in two primary areas; Quality of new appliances and the experience of buying used appliances. Elon Musk would have already started working on building a better appliance that runs off a battery bank and solar. You can only change the world one step at a time though, and you have to start somewhere. At ApplianceSwap, my co-founder Bobby Henderson and I are starting by creating a better way for people to purchase used appliances. We are doing that by addressing every aspect of the purchase. We help people view local used appliances inventory, ask questions, schedule delivery, purchase appliances and review the transaction without setting foot in an appliance store. This allows people to purchase used appliances in a familiar and relaxed environment while buying from sellers they can trust. Buyers also save hours of driving all over town and often appliances can be delivered the same day if ordered early enough. Great used appliance sellers not only provide an excellent experience, but they are on the front lines of choosing which appliances are worth being refurbished and kept in the system, and which need to go to the scrap yard to be recycled. We are excited about the future of the appliance industry. Things can and are changing. When new startups like ApplianceSwap begin by asking what is best for buyers, sellers and best for the environment, good things can and will happen.